People love sticking diamonds on things, but better pritt-stick the Swarovski onto headphones – something you’d actually wear, than your TV. (Yes people have done that, and yes, it’s silly). 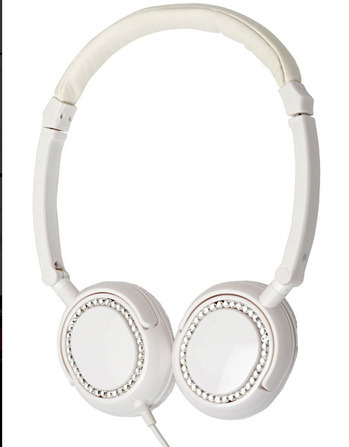 Anyway, the inspired combination of headphones, white leather and some Swarovski glitter have produced these: the Jewel 78 headphones with swivel caps and serious bling. They won’t make you Lady Gaga, you’ll need a few more accessories there, but they will set you on your way.